Out this month, Frances Partridge’s memoir Love in Bloomsbury provides a window onto the lives, loves and excesses of some of the twentieth century’s most intriguing, yet enigmatic, players. The Bloomsbury Group was as well known for its love affairs as for the work that was produced by its members. Of all the romantic entanglements, the love quadrangle between Frances Partridge, her husband Ralph Partridge, his first wife, Dora and Lytton Strachey was one of the most tortured (Frances loved Ralph, who loved Dora, who loved Lytton, who loved Ralph) – and tragic, ending in the death of Strachey and the suicide of Dora. 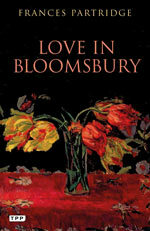 Love in Bloomsbury (reprinted this month), Frances Partridge’s celebrated account of these turbulent years, describes her Victorian upbringing and tells the story of the star-crossed quartet, two of whom were doomed, the other two survivors. Here, art historian Frances Spalding reveals the charms of a writer and book that brims with honesty, humour and a plain curiosity about human nature. Parties, tennis and dancing – all figure largely in Frances Partridge’s memoir Love in Bloomsbury. But so, too, do books. Frances Marshall, as she then was, was a bright young thing who went up to Newnham College, Cambridge in 1918, where, as she admits, ‘the dichotomy between dancing and intellectual interests produced a form of schizophrenia’. She left an exam half-way through in order to watch a tennis match. Many years later, the lead Sunday Times book critic, John Carey, reviewing Anne Chisholm’s biography of Frances Partridge, instanced this fact as evidence of shallow frivolity. Instead it reveals the young woman’s determination to work out her own values, to think for herself rather than simply accepting the existing order and establishment views. Frances Partridge was always her own person. And because of this she was able to sustain a unique position in English social and literary history. When it first appeared in 1981, the English edition of this book simply bore the generic title Memories. This gave little indication of what lay in store for its readers. Many had, however, already become familiar with her voice through A Pacifist’s War, which Frances Partridge had published three years before. This contained selections from the diaries she had kept during the Second World War. Frances, who always remained as old as the century, was 78. Although it was the first book she authored, it was not her first literary endeavour. She had for several years worked intermittently as a translator of French and Spanish books. She was also probably one of the very few people in England, outside the psycho-analytic profession, who had read the whole of Freud, for she compiled the index to James Strachey’s Standard Edition of the Complete Psychological Works of Sigmund Freud. But even more significant is the fact that she had sat for months on end in the British Museum’s Reading Room (before the British Library moved out of the Museum into premises of its own) assisting her husband Ralph Partridge with the necessary groundwork for the unexpurgated edition of the famous Greville Diary. When published in 1938, it filled eight volumes. Covering the period 1820 to 1837, Charles Greville had put on record the private causes behind public events, making this diary one of the most valuable contributions to our understanding of nineteenth-century history. There could have been no better training for a memoirist than the sustained attention given to this work. Barcelona Fair – from left: Raymond Mortimer, Frances Partridge , Clive Bell and Ralph Partridge. The richness of Frances Partridge’s memoir owes much to the vivid, precise detail embedded in it. Tunelling back into her past, she revisits her Edwardian childhood. From the family home in one corner of Bedford Square in London, she could look down from a high-up bedroom and see everything that went on in Tottenham Court Road. She, who later became one of the first to hop on to the Eurostar, recollects how, in an age of horse-drawn buses, if one horse fell down, the driver had to sit on its head to make it get up. After university, she journeys through Cambridge and into Bloomsbury, where she acquires a job in the eccentric bookshop run by David Garnett and Francis Birrell. This proves to be a meeting place for the group of individuals who came to be known as Bloomsbury, or ‘the Bloomsberries’, as Molly MacCarthy affectionately nicknamed them. Already, this attractive and socially agile young woman, recently down from Cambridge, was much in demand. Yet she quickly decided that the talented, diverse individuals who composed Bloomsbury were the kind of people she most wanted to know and with whom she wanted to make friends. To the outsider, they appeared odd, slightly bohemian, seemingly unconventional. But, as she remarks, ‘to say they were “unconventional” suggests deliberate flouting of rules; it was rather that they were quite uninterested in conventions, but passionately interested in ideas.’ This memoir provides many brilliant vignettes of these individuals, their sayings and doings. Bloomsbury has never been so well served from such an intimate perspective. Frances Partridge shares in their conversations with an alert mind and sharp eye, noting, for instance, that Virginia Woolf’s face ‘bore the stigmata that are to be seen in many who have been gravely mad – a subtly agonised tautness, something twisted’. The main theme in this book is the love between Frances and Ralph Partridge. Ralph’s marriage to the painter Dora Carrington had broken down by the time he and Frances fell in love. It had never been a promising marriage as Carrington agreed to it, partly to keep Ralph at Tidmarsh Mill, the house which she shared with the homosexual writer Lytton Strachey and to whom she was wholly devoted. Ralph had become a regular visitor, and Lytton had begun to depend on the younger man’s intelligence, practicality and physical vigour. After he and Carrington married, their tripartite arrangement became strained when Carrington began an affair with Ralph’s friend Gerald Brenan. When Ralph’s affections became lodged with Frances, Lytton, fearing he would be left alone at Tidmarsh to muddle along with Carrington, decides to take action to protect his needs. Lytton Strachey, Ralph Partridge and Frances Partridge at Ham Spray for tea. Carrington, as we know, did not outlive this grief. Frances Partridge ends this volume of memories before she too was twice hit by the loss of those close to her. Yet she lived to be almost 104, in her later years publishing in all seven volumes of her diaries. Critics began comparing her with James Lees-Milne and Anthony Powell, for she can indeed be placed among the most outstanding diarists of the twentieth century. But in these memoirs she took the opportunity to stand outside time and look back, thereby adding a further reflective layer. An admirer of Proust, and a close friend of Clive Bell who wrote a small book on Proust, she knew how to probe the past, to unpeel it and celebrate it. In this book, when she incorporates passages from her diaries, the activities of the past are made vividly present: as when the ‘Bell boys’, Julian and Quentin, go swimming with her in the sea and ‘like two plump brown seals in the water’, dive repeatedly under her and hurl her into the air, with great shouts of laughter. Top image: at Biddesden House – the last photograph of Dora Carrington from left: Pamela Mitford, Ralph, Dora Carrington, David Garnett and Frances Partridge. Frances Spalding is an art historian, critic and biographer. She is a Fellow of the Royal Society of Literature, an Honorary Fellow of the Royal College of Art and in 2005 was made a Companion of the British Empire for Services to Literature. 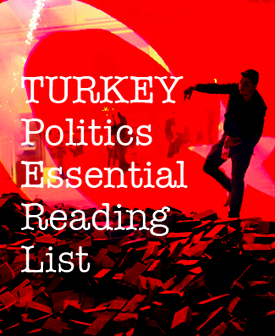 Tags: Biography, Dora Carrington, English LIterature, Frances Partridge, Lytton Strachey, The Bloomsbury Group. Bookmark the permalink.